Run at the C-USA Title begins…Can Our Pirates Rise? 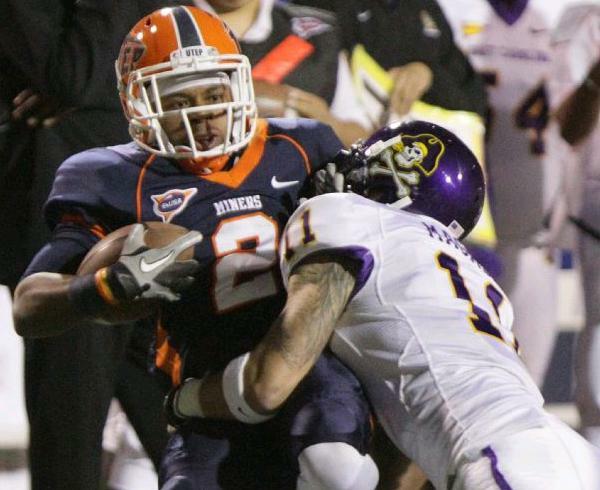 Big game needed by D: In 2011, turnovers plagued both teams and UTEP got its first win against ECU…ever out in El Paso. Magz and the boys need to turn it up on D for the Pirates to get the win. In looking at the rest of the schedule, there are four games I am most worried about: UCF, Marshall, UAB, and this weekend’s clash with UTEP. With the win over USM two weeks ago, the Pirates have bagged the biggest win on the C-USA slate. We all know that the CUSA East title AlWAYS goes through Southern Miss and to get that win was HUGE for this team. To be honest, I would have told you at the beginning of the season that we would likely be 1-3 after the first four games in 2012, so notwithstanding the UGLY stuff we have seen thus far, we are STILL in a very good position to have a very good season as far as W-L record goes. First, for everyone who is saying “dumb down the schedule,” what is left ahead of ECU fits the bill by default. [ BTW, I don’t necessarily disagree with my friend Denny but that will have to be a future blog]. Looking at what we have ahead, a 10 win season is definitely there for the taking. Let’s face it, C-USA is bad this year and Navy is too. 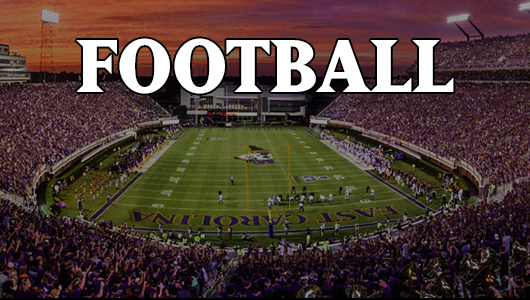 ECU – bad as we are playing right now – is good enough to win this league. Second, we play 5 of the remaining 8 at home…which is a good thing for our team who always plays better at home. Third, the level of competition is about to take a dip and our depth and conditioning will really start to show, IMO. One, history is not on our side. We tend to lose a game that has everyone scratching there head and murmuring “WTF” afterwards. To me, I am guessing it will be the UAB game. They are not a bad team and have played the big boys pretty tough this season AND playing in Alabama has never been kind to ECU. Watch out for that one. Two, we play UCF – the other fav in the EAST – on the road. Three, our league loves to pass the ball – which is not our forte defensively. Which brings us to UTEP. The Miners are going to be trouble for us. Thank God, we have them at home where they have had to travel cross-country to play. They may be 1-3, but look at there freakin’ schedule. Road games at Ole Miss and Wisconsin and a home gig with Oklahoma…really? Talk about taking on the big boys…wow! Kudos to UTEP. I know…Wisconsin is a shell of itself in 2011, but still…they could probably give UNC a game and our hostile environment won’t have anything on the Baders. My point is that UTEP will not be intimidated and we need an A+ effort to stay ahead in CUSA. There are a few items that are worrisome for us. One, UTEP throws the football well. We pass defend horribly…horribly. They will look to carve us up and if things do not change quickly, they will. AND, they can also run the football if needed. They hung 222 yards of rushing on Oklahoma. Ouch. And, their O doesn’t turnover the ball – i believe they have a fumble lost and an INT through 4 games. Pretty good at protecting the ball. So, they are good at hitting on two of our biggest weaknesses: 1) we can’t seem to stop the pass; 2) we NEVER have a plan B and so after we prepare for the pass and then they start pounding at us, will we be able to switch gears? Not sure. Now…the good news. If ever our team was to break out offensively, this is the game. In its four games, UTEP has given up 400+ yards per game, yielding 500+ to Ole Miss. If Carden is to break out…this will be his week and for him, he needs the reps and the confidence and he will get better each snap. Our WRs better bring it. That we have instituted a running game is a good sign. We need to use it for sure this week so we can have longer, sustained drives to eat the clock. We need to keep their O off the field. I think the loss at UNC helps us. For whatever reason, our boys get overconfident at times against CUSA despite lack of evidence that we dominate the conference. I think a miserable game at UNC will play into our emotional edge for this game. We have a lot to prove on the field. Get a win this weekend, and we could really start something big. Lose this weekend and I fear a third place finish in CUSA East at best. Well that is how I see it friends…what say you good Pirates?